On Wednesday, April 20th, DC Comics announced that Shelly Bond, VP-Executive Editor of its Vertigo division and imprint, had left the company. Additionally, the position of VP-Executive Editor, Vertigo, was being eliminated. You know, like it never existed. An antimatter wave come from across the multiverse of corporate speak to fill a vacuum by removing the vacuum. 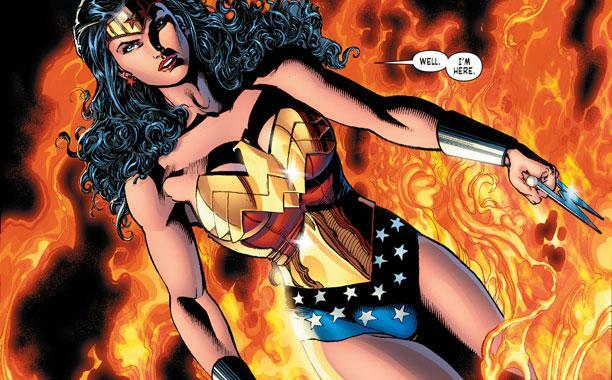 In addition to that megaton bomb being dropped on the comic book industry, the “elimination” of a high-ranking position held by a woman was commented on by two men. Dan Didio and Jim Lee, the Co-Publishers of DC Comics. The Twitterscape, at the very least, was full of pointed and heated conversation as a result of this announcement. All interesting questions or observations. The removal of a powerful woman from the corporate structure of DC Comics opened the floodgates for a history of injustices done to women by DC Comics, significantly because of alleged and documented sexual harassment of women by Eddie Berganza, Group Editor. So much has been said about the latter in the last week, much less handful of years, that I doubt I could add anything more. What’s I’d like to discuss is this thing that happens, when I bring up DC Comics’ problems concerning its female employees in public and in private. People throw out Diane Nelson’s name. Throw it out like a baseball, or a panacea. Diane Nelson is the President of DC Entertainment, a position she’s held since 2009. DC Comics is a subsidiary of DC Entertainment. 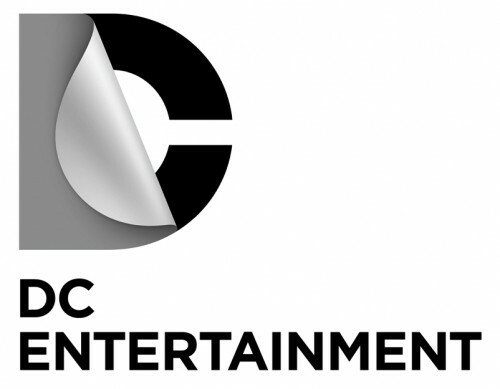 DC Entertainment encompasses DC Comics. The two are not the same. One is larger than the other. One commands the other. None of the people whom have presented Diane Nelson’s name to me have offered proof that Diane Nelson runs the day-to-day operations of DC Comics. I think she has much bigger fish to fry and a considerably larger and higher-stakes palette of responsibilities than day-to-day management and oversight of the publishing arm. Said arm being run by three men. So DC Entertainment is like the parent of a child old enough to be afforded a good deal of autonomy, but still living in the corporate house. Diane Nelson, a female President of DC Entertainment, does not seem to have any impact whatsoever as to how women are treated, on a corporate and, or human, level at DC Comics. Women whom have served at DC Comics for at least two decades are given their walking papers, and other women have their creative job opportunities hampered by the continued employment of a controversial officer of the company. So please spare us the Diane Nelson excuse. She’s a businesswoman of a higher order dealing with billion-dollar-scale matters. She is not the parent in the equation. Apparently and unfortunately, DC Comics has no moral compass. So we must serve that role. The community of supporters and consumers, who believe that the providers of heroic mythology should operate within an environment of heroic ideals, who believe that the need for profit does not outweigh or negate the need for equity of treatment for everyone, who believe that good employees and creators should not have to deal with the conflict of working in the belly of a beast so they can make a living, raise their families, and provide stories that define a better world. I have boycotted DC Comics before, but I will not do so now. I know that heroes operate within their halls. People of bright spirits and the best of intentions write, draw, and utilize their artistic gifts to contribute to a mythology that has finally found global respect and greater impact along with its global visibility. You and I, if we want a better comic book industry, can be the moral compass for this damaged company. We can be their Superman, in our optimism and unwavering hope that they can be better, in our capacity to not punish creators for the actions of their employer. We can be their Wonder Woman, in our considered judgment of their injustices and crimes against people across gender and ethnic lines. We can be their Batman, in our capacity for decisive action which will be tantamount to punishment. Our industry is diminished when men of power allow for crimes against women to continue, alongside the removal of women of power. Let’s get them to do better, because honestly, when the publisher of Wonder Woman, arguably one of the most powerful icons associated with feminism and female empowerment for the last and present century, is the home to despicable actions against women, something is fundamentally wrong and ugly and sick. The criticism and admonishment must continue. Joseph Phillip Illidge is a public speaker on the subjects of race, comics and the corporate politics of diversity. In addition to his coverage by The New York Times, CNN Money, the BBC and Publishers Weekly, Joseph has been a speaker at John Jay College of Criminal Justice, Digital Book World’s forum, Digitize Your Career: Marketing and Editing 2.0, Skidmore College, The School of Visual Arts, Purdue University, on the panel “Diversity in Comics: Race, Ethnicity, Gender and Sexual Orientation in American Comic Books” and at the Soho Gallery for Digital Art in New York City. His graphic novel project, “The Ren,” about the romance between a young musician from the South and a Harlem-born dancer in 1925, set against the backdrop of a crime war, will be published by First Second Books, a division of Macmillan. Joseph’s newest comic book project is the upcoming Scout Comics miniseries “Solarman,” a revamp of a teenage superhero originally written by Stan Lee. Yeah… I sort of like the boycotting idea. Let’s boycott them. Doesn’t really help the situation. Probably does more harm to the majority of good people working there. Better to let your voice be heard not just your dollars being withheld. Wasn’t that the argument for bailouts? Institutions don’t change and unfortunately people getting hurt is a part of that. I don’t WANT good people to be hurt but I don’t believe businesses, including DC, care at all what we think or what’s right. They will always follow the money. If you continue to give them money, they will not change and good people will continue to work in environments and for people that protect and sometimes promote immoral behavior.